TAIPEI, TAIWAN, Oct. 3rd 2018 – Avalue Technology Inc. (TAIEX: 3479-TW), global embedded solution provider, associate member of Intel® Internet of Things Solutions Alliance. 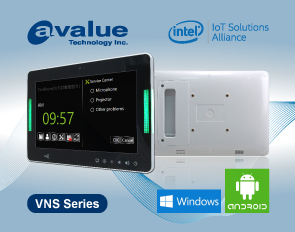 With the continuous push for smart connected devices, Avalue Technology has launched the VNS series of multifunctional touch panel computers, which integrates system interface, transmission, storage, and communication functions. 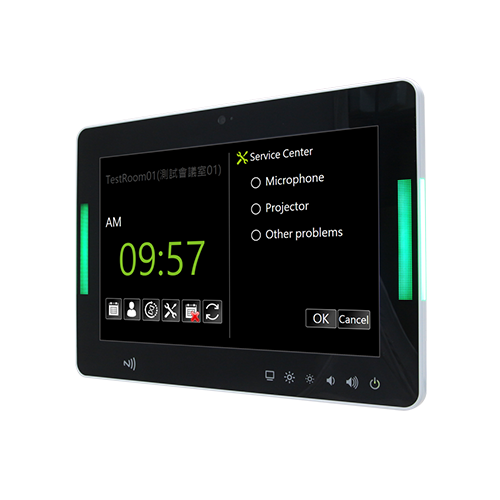 The highly interactive touch panel PC meets the requirements for home automation, conference room management system, and door access control in institutions, schools, clinics and hotels. Thin and light with an elegant design emphasized by clean lines, its multi-touch operation boosts improved agility, and it also features programmable LED indicator lights on both sides of the frame. 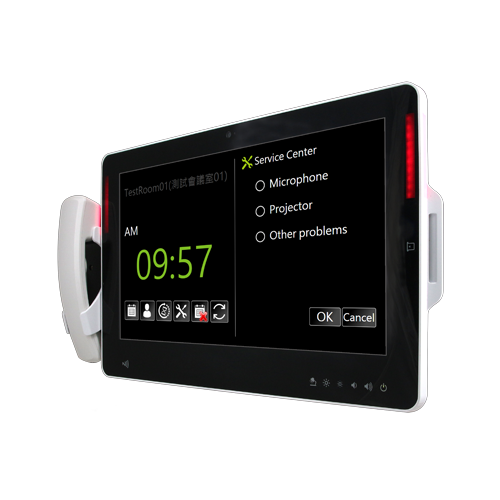 Avalue VNS-series multifunctional touch panel computers redefine traditional touch panel PC.